Content by Tony Macklin. Originally published on December 21, 2010 @ tonymacklin.net. 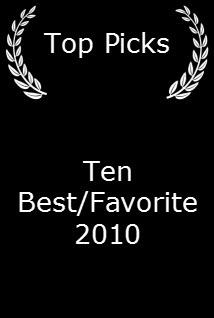 As a novice moviegoer, I was always bemused by critics who included movies I'd never seen on their best ten lists at the end of the year. Many of those movies were foreign films for esoteric audiences. Ironically I now find myself in the same position of those that went outside of the box (office). Generally it's been a mediocre year for American movies. There have been some entertaining movies, but very few original, special ones that will last beyond next week. If one considers international cinema, he has a more fruitful selection from which to choose. 2010 has been the year of deceased Swedish author Stieg Larsson and his marvelous heroine Lisbeth Salander. Larsson died of a heart attack before his trilogy of novels was published, but in 2010 they rocketed across the world as a brilliant literary phenomenon. 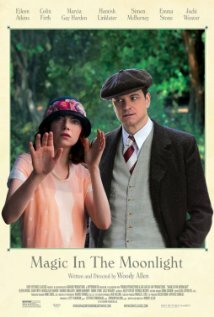 The three movies adapted from his fertile novels also came to theaters across the United States this year. 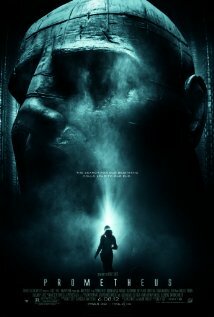 The casting stayed intact, but only the first movie sustained its masterly achievement as a work of art. 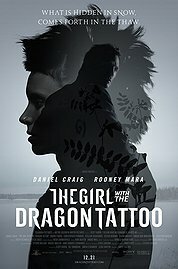 The Girl with the Dragon Tattoo -- the only one of the three to be directed by Niels Arden Oplev -- captured the frigid Swedish environment and the intriguing, provocative characters. 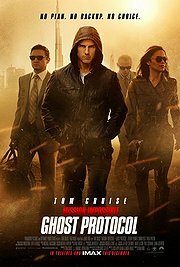 It's a shame Oplev passed the two following sequels off to lesser directors. The Girl with the Dragon Tattoo is a powerful tale of brutality and revenge. 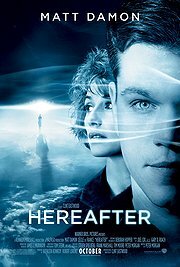 But what gives it heart and soul is the alienated, goth, cyber-hacker Lisbeth Salander, who is given vivid life by actress Noomi Rapace. 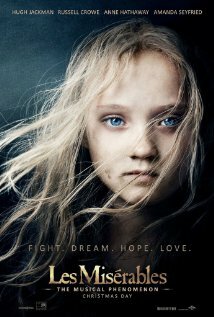 Though helped by journalist Mikael Blomkvist (Michael Nyquist), Lisbeth -- in her willful independence and bitter vulnerability -- stands alone. 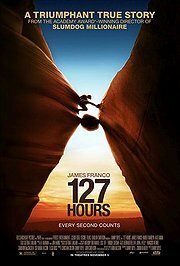 I went expecting a grueling, depressing experience, since 127 Hours is based on an actual event in which a hiker is trapped in the desert in Utah, and he has to cut off his arm. 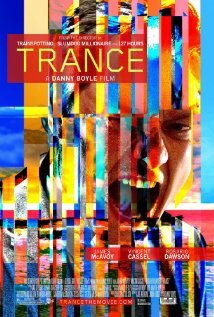 But actor James Franco and director Danny Boyle had different ideas. They made 127 Hours a surprisingly positive, unforgettable experience. 127 Hours is potently life-affirming. 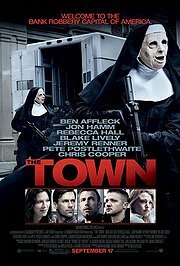 This is an articulate, literate, enjoyable movie. Directly smartly by Tom Hooper, based on actual events, it tells the engrossing tale of the Duke of York (Colin Firth) -- eventually he became King George VI -- who has a severe stammering problem. A commoner from Australia (Geoffrey Rush) challenges and provokes him. They make the odd couple of the year. 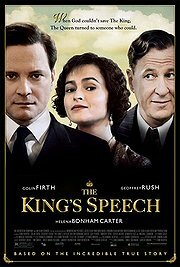 Colin Firth and Geoffrey Rush are exemplary, and Helena Bonham Carter shines as the Duke's wife. 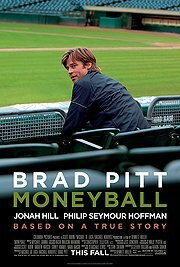 Accomplished veteran director Roman Polanski invests his own personal dilemmas in this lean, suspenseful story of a ghost writer (Ewan McGregor) reworking the memoirs of a former Prime Minister of England (Pierce Brosnan). The Ghost Writer is a thriller of personal angst by a cinema master. 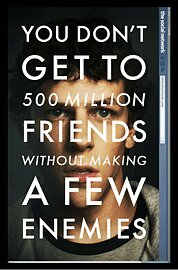 Director David Fincher and writer Aaron Sorkin probe Facebook and its creator Mark Zuckerberg (Jesse Eisenberg) in another film based on actuality. 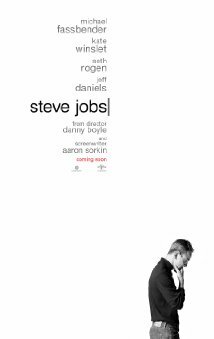 Both Fincher and Sorkin love language, but they know it's under attack by machines. The Social Network is a cogent, enlightening film, but it probably has the lasting resonance of a tweet. Still, it had its moments. This is both a prison picture and a gangster saga. It probably would please a large audience, but it's a French-Arabic-Corsican language film. Directed by Jacques Audiard, it's both broad and subtle. 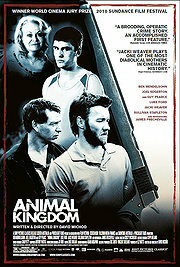 It's a 150-minute study of a young man's survival and crime evolution. If you liked Michael Corleone, you'll probably like Malik (Taher Rahim). 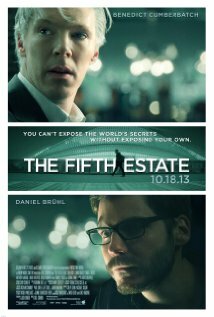 This is a powerful Australian movie -- directed and written by David Michod, who was educated at the University of Melbourne. 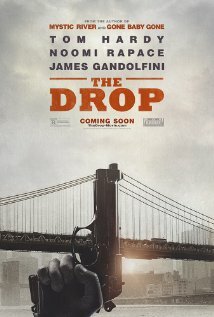 It's about another young man trying to endure in a crime family with all its brutal circumstances. It has an authentic feeling of place. Jacki Weaver is scary as the crime mother of the year. A lilting, affecting portrait of hardscrabble life in the Ozarks in rural Missouri. 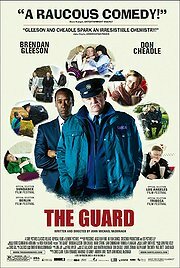 Director/co-screenwriter has captured a bitter world in which a 17-year-old (Jennifer Lawrence) has to save her family -- her near-comatose mother and two young siblings -- from destruction by the cruel forces around her. 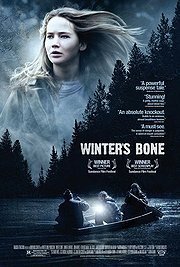 Winter's Bone is a wary, compelling trip through the dark. This animated feature is an amalgam of fierceness and whimsy. A Viking youth named Hiccup (voiced by Jay Baruchel) becomes allied to a young, wounded dragon, and they face a hostile world. 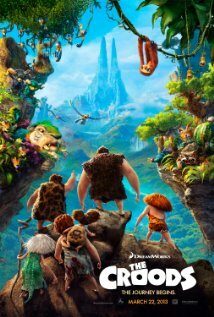 Directors by Dean DeBlois and Chris Sanders -- with crucial visual advising by Roger Deakins -- achieved a new realism in animation. How to Train Your Dragon is a soaring morality tale. 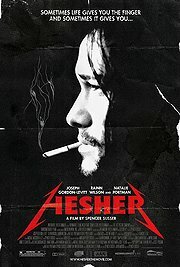 The first hour of this Israeli movie is unforgettable punishment. 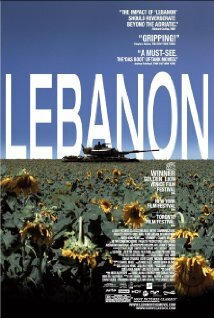 Director/writer Samuel Maoz channels his experience as a tank gunner in the 1982 Israeli invasion of Lebanon. It lets up on its acceleration, but the first half is stunning. 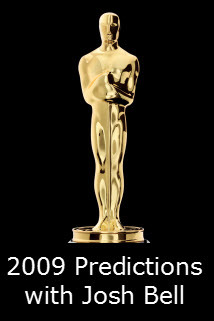 2010 was an uninspiring year for American movies -- though there were a few terrific ones. But if you include foreign films in your moviegoing experience, you may discover some unexpected treats.